Produktinformationen "Coexisting Differences : Women Artists in Contemporary Korean Art"
Korea become one of the most exuberant and productive centers in the world art scene. A number of artists are actively participating in the renowned international art fairs, and numerous cities in Korea are hosting world-wide art biennales. In the meantime, Korean art has demonstrated a fast and wide range of development both in the number of artists and in the realms of art making. Artists adopting various Western media have integrated current artistic issues from politics to formal explorations. Among them, some Korean women artists are remarkably active. The nine artists featured in this book are addressing their experiences in art and society, such as education, politics, culture, media, economics, legal system and institutions in Korea in their individual voices. Yun Suknam and Kimsooja can be categorized as the firstgeneration feminist artists that examine women’s lives within the context of Korea’s history, but they are gradually expanding their interests beyond femininity. Yang Haegue, Kim Sora, Nikki S. Lee and Koo Jeong-A, who deal with the ambiguity of boundaries in social convention and art, cast their doubts on the existence of boundaries through metaphorical and connotative methods of expression. Yee Sookyung, Lim Minouk and Ham Younjoo are artists who reflect on or criticize current political and artistic realities including religion, crafts and design, sharing a common thread in that they constantly try to expand the scope of their work and also of the receptiveness of the viewers. Based upon feminine sensitivities, the artists show concerns toward the lesser, minor, secondary objects and places of value in which any post-theories had been dealt with. Korean artists utilize their composite images as an artistic means of self-projection. In this process, Korean women artists, who learned how to visualize the differences, prefigure desirable perspectives for Korean artworks. 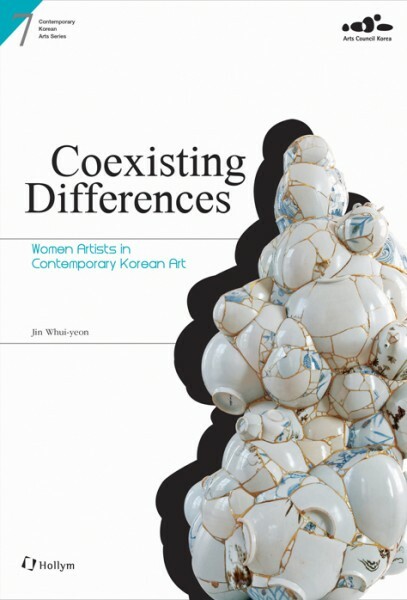 Coexisting Differences: Women Artists in Contemporary Korean Art, a critical writing on the 21st century Korean arts, attempts to highten the awareness on the immediate theoretical issues of the world’s art scenes and is dedicated to the art lovers around the globe. Weiterführende Links zu "Coexisting Differences : Women Artists in Contemporary Korean Art"
Unser Kommentar zu "Coexisting Differences : Women Artists in Contemporary Korean Art"
Kundenbewertungen für "Coexisting Differences : Women Artists in Contemporary Korean Art"